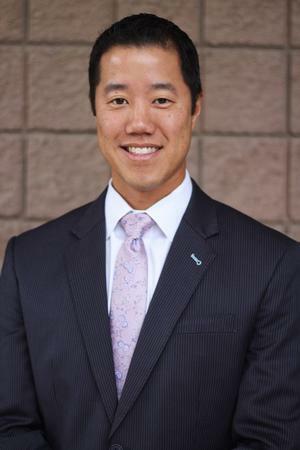 Philip Kim is a Senior Vice President with the Southwest Branch of AXA Advisors, and the Director of the Retirement Benefits Group in Arizona and New Mexico. In his role as Director, Philip oversees the growth and development of the Retirement Benefits Group (www.k12retirement.com) in the states of Arizona and New Mexico. Under Philip's guidance, his team has perennially been nationally ranked in the Top 10% among his peers every year since 2010. His advisors and team have received numerous accolades from the Southwest Branch, AXA Advisors, and the Financial industry. Ongoing education is a key factor to Philip's career success. In addition to an Ivy League degree from Cornell University in Ithaca, NY, Philip holds FINRA registrations for the Series 7, Series 66, and Series 24, as well as a license for Life, Accident, and Health insurance in multiple states. In June 2013, Philip was the first advisor within AXA Advisors to be awarded the RICP® (Retirement Income Certified Planner) designation by the American College. In preparation for this title, he studied structuring effective retirement income plans, as well as the creation of sustainable streams of income designed to last throughout retirement. Philip has been featured in various media outlets during recent years, via television (local ABC and Fox syndicates), radio (1100 KFNX, 92.3 KTAR), and numerous magazines (Airpark News, Scottsdale Health, FrontDoorNews, Deer Valley Times). Philip lives in the wonderful and warm state of Arizona with his wife and two children.